The CANifier is a CANbus-to-IO converter with a powerful 10-amp RGB LED strip driver. 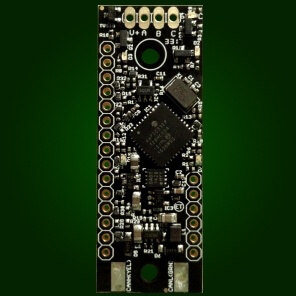 Features include PWM inputs and outputs, Quadrature decoding, GPIO, and a field-upgradeable firmware system. The CANifier is a CANbus-controlled IO and LED strip driver. 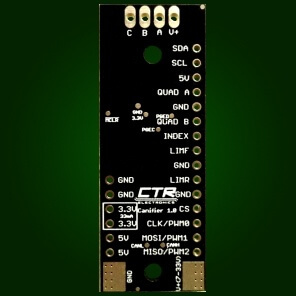 Three low-side outputs that can handle up to 3.5 amps each interface easily with most common RGB LED strips. 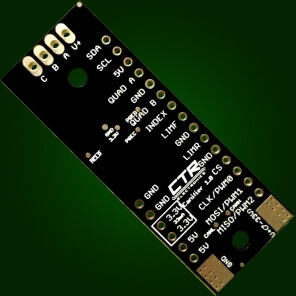 PWM inputs and outputs allow for connectivity with ultrasonic sensors, SRX Mag Encoders, LIDAR Lite V3s, RC receivers, and more. I2C, UART, and SPI support coming soon. 5V and 3.3V power supplies with a wide voltage input range facilitate adding sensors without long wire runs. Furthermore, 0.1" spaced pins let users plug the CANifier directly into a breadboard for prototyping. The CANifier is field-upgradeable via CAN. Please see the User Manual for more information. 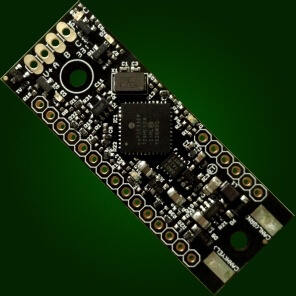 Users outside of FRC: Please note that you will need a HERO Development Board to field-upgrade any CANifier for use with the latest features.